Notice: Only for 15.6" Display. 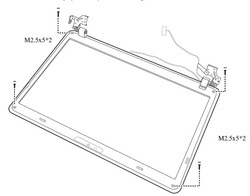 Toshiba Satellite A660/A665 LED LCD Hinges AM0CX000400/AM0CX000300 L+R 16"
Notice: Only for 16" Display. This instructions can work on Toshiba Satellite A660 A660D A665 A665D series. First of all, please shut down your Toshbia Satellite A660 / A665. Disconnect the power adapter and remove the battery. Remove the Toshiba A660 / A665 Keyboard. 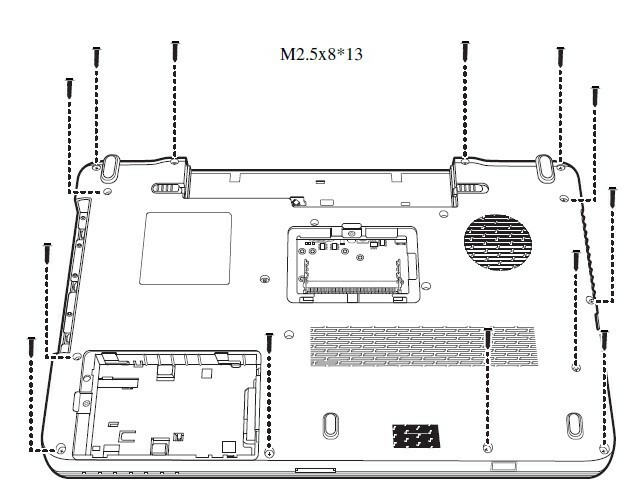 You can find the instruction here How to Replace Toshiba Satellite A660 / A665 Keyobard. 1. Disconnect the antenna on the TV tuner card. 2. 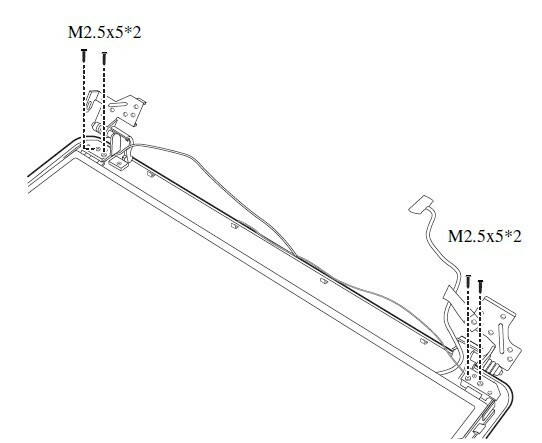 Remove one M2.5x5 screw on the TV tuner card as shown in Figure 1. 3. Pull the TV tuner card out at an angle. 1. Disconnect the two antennas on the WLAN card. 2. Remove one M2.5x5 screw securing the WLAN card as shown in Figure 2. 3. 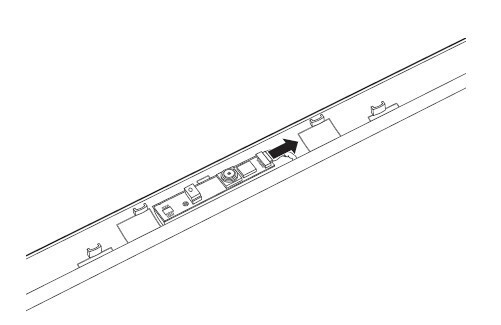 Pull the WLAN card out at an angle. 1. Turn the Toshbia Satellite A660 / A665 upside down. 2. Remove one M2.5x8 screw. 3. Pull the ODD module in the direction of the arrow as indicated in Figure 3. 1. Close the laptop and turn it over. 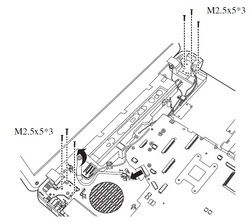 Remove the thirteen M2.5x8 screws securing the logic upper assembly as shown in Figure 4. 2.Turn the laptop over and open it. Remove the two M2.5x8 screws securing the logic upper assembly. 3. 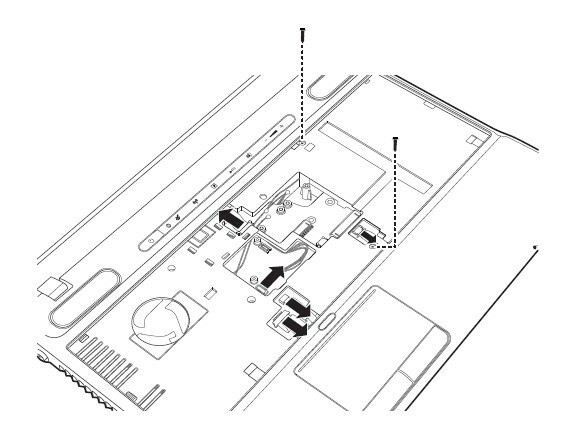 Disconnect the four connectors: one Control Panel FCC, one Fingerprint Scanner FCC, one speaker cable and one Touch pad cable as shown in Figure 5. Models featuring the optional FeliCa card will have a fifth connector. 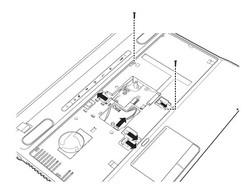 Disconnect the FeliCa card connector as shown in Figure 5 (where applicable). 4. 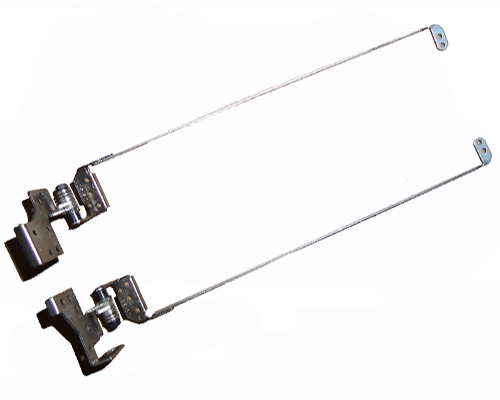 Pry up the logic upper assembly from the bottom edge and remove it as shown in Figure 6. 1. 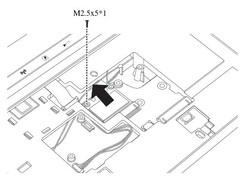 Lift up the LVDS cable tab as shown in Figure 7. 2. Peel back the tape on the LVDS cable connector and disconnect the LVDS cable. 3. 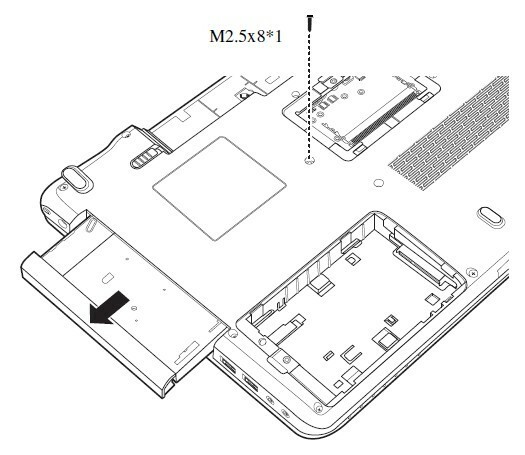 Remove the six M2.5x5 screws securing the display assembly as shown in Figure 7. 4. Remove the display assembly from the base. 1. 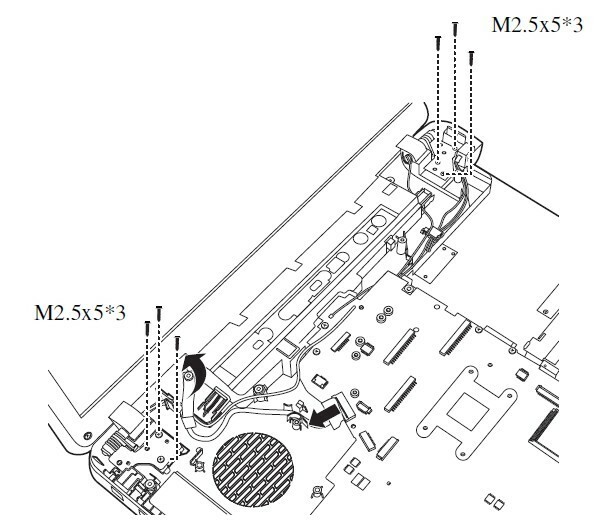 Remove the four rubber seals from the LCD bezel and four M2.5x5 screws securing the LCD bezel to the display assembly as shown in Figure 8. 2. Pry up the LCD bezel from the outside bottom and outside top edges. Work your way around the outside edges of the LCD bezel until it is free of the display assembly as shown in Figure 9. 1. Remove the four M2.5x5 screws securing the LCD panel to the display assembly as shown in Figure 10. 2. 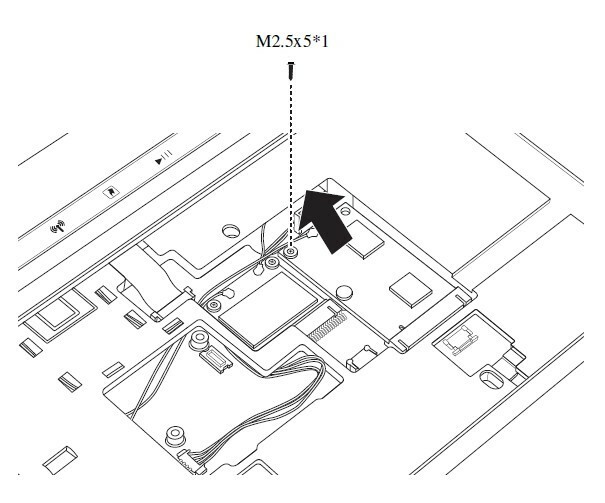 Disconnect the Webcam cable as shown in Figure 11. 3. 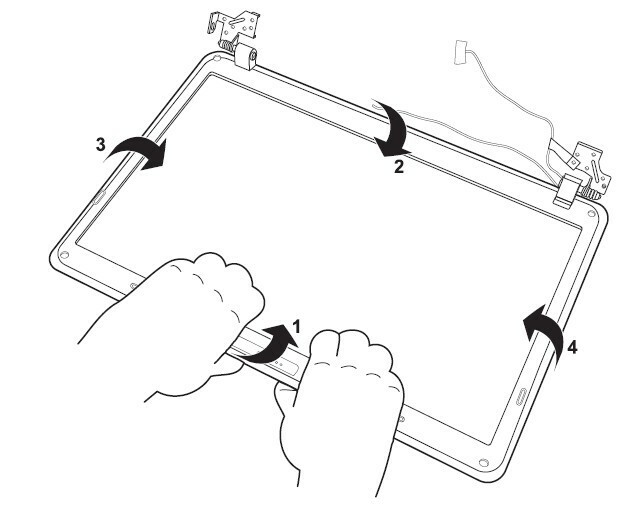 Remove the LCD panel from the display assembly. 1. 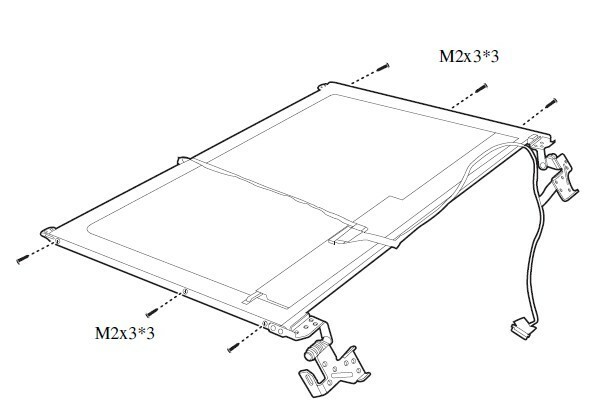 Remove the six M2x3 screws securing the LCD panel hinges to the LCD panel as shown in Fighure 12. 2. Remove the LCD panel hinges. 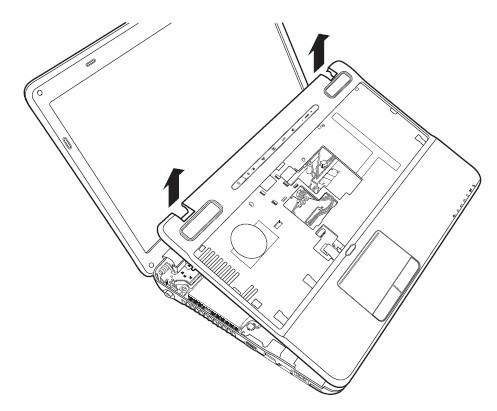 Reverse the procedure to install the new Toshiba Satellite A660 A665 hinges. 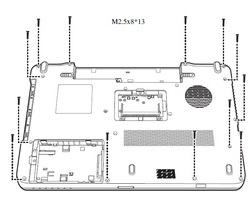 Notice: Toshbia Satellite A660 A660D A665 A665D seires laptop have two different screen, one is 15.6" and the other one is 16", the hinges of their screens looks the same, but the screw hole positions are different, so be careful when you choose the replacement.